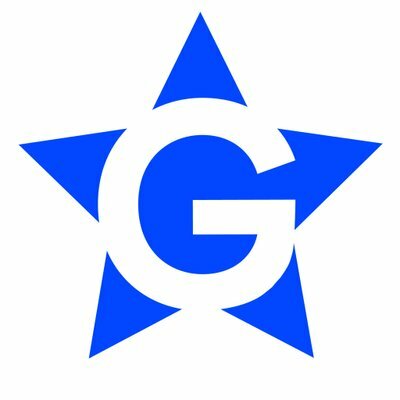 You can follow @GimletUnion on Twitter. I’m a big fan of Gimlet podcasts. But I won’t be downloading or listening for the time being. As someone who has created podcasts for nearly a decade, and mostly as someone who has listened to podcasts for even longer than that, I have admired Gimlet’s steps to advance the industry forward. They have hired some exceptionally talented folks (some of whom I have personally worked with and have seen be great people when the microphones and the digital audio workstations were off). Now, these talented folks have taken another step that never before has been done in podcasting: They’ve formed a union. This is a game-changing turn of events, and a long way from the scrappy beginnings chronicled in the first season of StartUp, especially given that Gimlet was just acquired by Spotify for $230 million. That's a lot of dollars to quantify the value of what these creators have produced so far, and by forming a union, the employees will have an opportunity to fight to be fairly compensated for the amazing talent, time and skill they bring to their jobs. Particularly notable to me is the union’s intention to create “clear and fair policies around contractor employment.” As a freelance audio professional (and one who has, on occasion, provided work for Gimlet), I feel seen by this stated objective, and I appreciate the importance of freelance work to the functioning of the industry. I have worked for companies that I feel have fairly compensated me, and I have also worked for companies that have tried to nickel and dime me and made me feel undervalued. It feels great when my work is compensated fairly. Unfortunately, in the more-than-a-week since @GimletUnion formed, the leadership of the studio has failed to voluntarily recognize the union. Until they do, I cannot in good conscience download or play another episode or run another ad on their servers. I am hopeful this will be remedied soon, and that I will be again listening to the excellent work from shows like Reply All and Science Vs. And I offer major congratulations to the workers who organized. Media companies — and tech companies even more so — have been allergic to the formation of unions, and I hope that Gimlet’s brave employees will pave a way for that to change. It is a great thing that so many people are willing to listen to podcasts, and that so many people are willing to take the time to hone their craft to create great work for those listeners to hear. I support the hard work of these employees that have organized, and I urge Alex Blumberg and the other leadership at Gimlet to voluntarily recognize them. Until they do, the company won’t benefit from any more of my downloads. PS I made a pretty big announcement today that I’m quitting Facebook. You can read more about that decision here or go over to that Facebook post to say your final goodbye on that platform. But not your final goodbyes! Because this newsletter is just getting started, and I will hopefully have a new podcast episode for you soon! Who’s got the pain? It’s definitely not me, as I am thoroughly enjoying my dive into the work of Bob Fosse and Gwen Verdon (pictured in Damn Yankees!). 📺 The Case Against Adnan Syed (Part 3 airs March 24 @ 9 p.m., HBO) — This four-part documentary series reopens the murder case that catapulted podcasting into the mainstream of popular culture. More info. 🤣 SHIZ: Broadway Meets Sketch Comedy (UCB Hell’s Kitchen, March 25 @ 10:30 p.m.) — I have been meaning to see this show since I found out it was created by my fave Shaina Taub and her husband Matt Gehring. Now it’s coming to UCB and I couldn’t be more thrilled about that. More info. 📺 Miracle Workers (New episode @ 10:30 p.m., TBS) — The final episode of this limited series! 🎬 Clemency (Release date TBD, but will open New Directors New Films in NYC on March 27-28. Tickets.) — This film by Chinonye Chukwu won the U.S. Grand Jury Prize at the 2019 Sundance Film Festival but still has not been picked up for distribution. You can sign up here to get notified when it does. The film is a drama about a woman whose job at death row leads to a crisis of faith in her employment. Sounds amazing. 📺 Superstore (New episode @ 8 p.m., NBC) — Slept on this show for too long. It's hilarious and well-written. 📺 Broad City (New episode @ 10 p.m., Comedy Central) — The final episode! 🎬 Movie Marathon Series: The MCU in chronological order — I’m doing a series of movie marathons this year, and the first is the Marvel Cinematic Universe, leading up to Captain Marvel and Avengers: Endgame. More info. 🎬 Movie Marathon Series: Bob Fosse/Gwen Verdon — My next movie marathon is in preparation for the FX biopic series Fosse/Verdon. More info. At the end of each newsletter, I look to — the past! — to mention the most most notable pieces of culture I've been paying attention to, whether they were previously on my radar or not. Maya Erskine (left) and Anna Konkle star in PEN15 on Hulu. 📺 PEN15 and Shrill (Hulu) — I watched two incredible shows this week, both on Hulu, both completely bingeable. PEN15 is a brilliant series that is both a hilarious comedy about puberty as well as a thoughtful drama about family, culture and relationships. It stars Maya Erskine and Anna Konkle playing pre-teen versions of themselves, alongside a cast of young actors who actually are that age, which makes for a unique kind of tension that is thematically perfect for how awkward it feels to be that age. It’s an extraordinary piece of television. The other show, Shrill, takes even less time to watch as it’s only seven episodes, mostly under a half-hour each, but packs a similar punch. Aidy Bryant is phenomenal in the lead role, as is the writing from Lindy West that spiritually powers the whole thing. Watching the show made me think in totally new ways about myself and the world around me. 🎬 Us (In theaters) — I’m still processing Jordan Peele's horror follow-up to Get Out, but I know it’s an enormous success. It feels like exactly the movie Jordan Peele set out to make, and that feels incredibly rad. As for what it means, I would say that if Get Out was a broad statement about a huge American story of racism, micro-aggressions and liberal hypocrisy, Us feels like something more specifically of this moment in the United States. It’s a movie that feels the most profoundly like what 2019 in America feels like. I’m also very excited to dig into writer Brooke Obie’s take here. 🎭 Much Ado About Nothing (Public Works’ Shakespeare in the Park, opens May 21, closes June 23) — More info. Thanks for reading! What's on your radar? Get in touch to let me know! And look for my next letter to go out on March 29.